DMX direkt aus dem PC? Nichts einfacher als das! 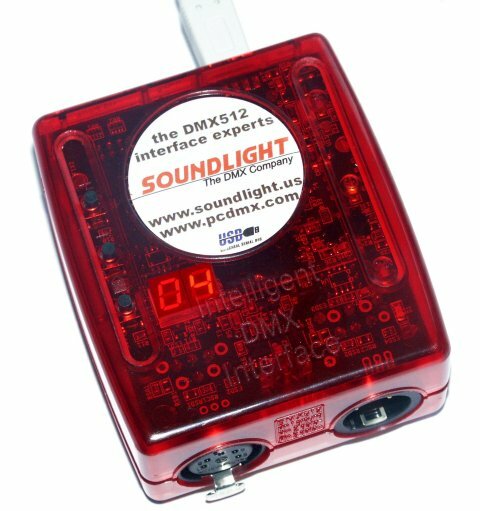 Während Sie sonst nur ein DMX Interface bekommen, wenn Sie gleichzeitig auch eine Software kaufen (weil das Interface meist als Kopierschutz für die Software verwendet wird), können Sie bei uns Interfaces OHNE gebundelte Software kaufen. Die laufen meist auch mit anderen Programmen aus Dritter Quelle. Und: wir zeigen Ihnen, wie man selbst programmiert. Demos und Tools gibt's auf www.pcdmx.soundlight.de frei zum Download, und einen Programmierkurs gibt's hier auf unserer Website. DMX directly from PC? Why not, and nothing could be even simpler! While mostly only commercial software will be bundled with a USB-DMX interface (in combination with software protection), we are selling interfaces at low cost without bundled software. The combination of lower price and increased versatility, combined with full documentation, programming tools and drivers is a sold platform for your own projects! And: have a look at www.pcdmx.soundlight.de to download free programming examples, tools and more. Also programming lessons can be found on our website. Visit Lessons to start. Weitere technische Information erhalten Sie durch Anklicken der einzelnen Produkte. Technische Manuals laden Sie von unserer Seite: BEDIENUNGSANLEITUNGEN Click the individual products for more information. Load technical manuals from our: MANUALS website. LATEST TECHNOLOGY - 100% future proof: that's the new USBDMX-ONE. We call it simply the "ONE", a state-of-the-art USB interface compatible with Windows XP, Vista and Seven, and Windows 10 - both, 32-Bit and 64-Bit. Our drivers are Microsoft certified, eliminating any problems during setup. A demo application is available free of charge: The "SOUNDLIGHT Workstation". Why wait? Refer to our WebShop to order products. Programmer's tools, demo code and sources can be found on the PCDMX Website. A true genius: the new interface USBDMX-TWO. The name is telling it: two universes, two times DMX512, two interfacing options: Ethernet (ArtNet) and USB connectivity. Additional features include show storage on SD card, a trigger port input, a big grphics menu driven screen. The interface complies with USITT DMX512/1990, DMX512-A and DMX RDM, as well as ArtNet3. USB 2.0. 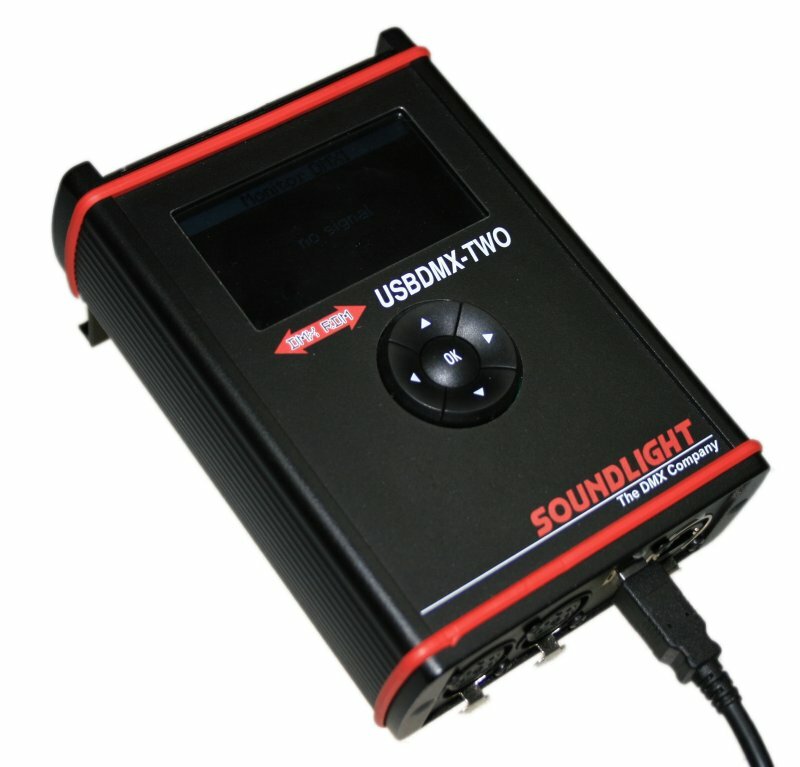 Upward compatible to the USBDMX-ONE. What else do you need? 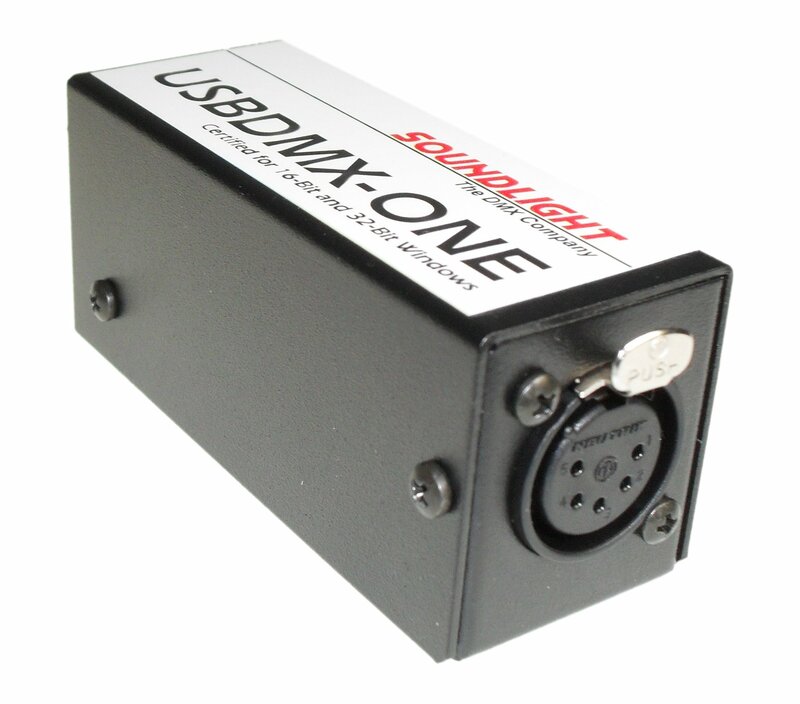 Easy to connect to laptop and desktop computers: the USBDMX8-LC operates on any USB 2.0 port and outputs 512 DMX data slots (one universe). The interface can be programmed to generate scenes and sequences, and triggered externally via 8 trigger input ports. The editor software "EASY STAND ALONE" is included with delivery. Easy to connect to laptop and desktop computers: the SLESA-UE7 features EtherNet and USB connectivity and outputs 1024 DMX data slots (two universes). The interface can be programmed to generate scenes and sequences, and triggered externally via 8 trigger input ports. 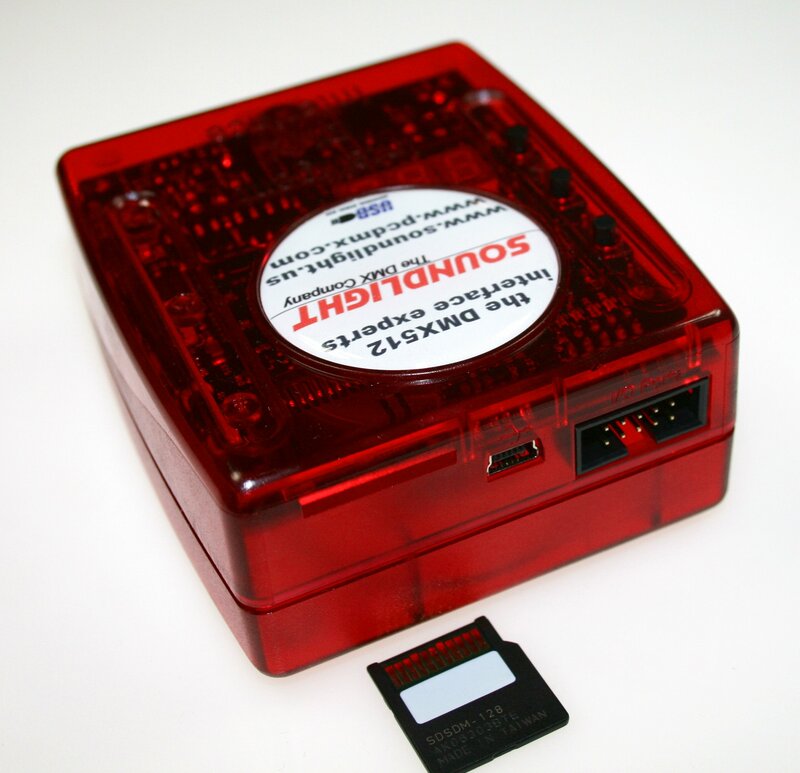 Shows can be stored on exchangeable SD memory cards. The editor software "EASY STAND ALONE" is included with delivery. 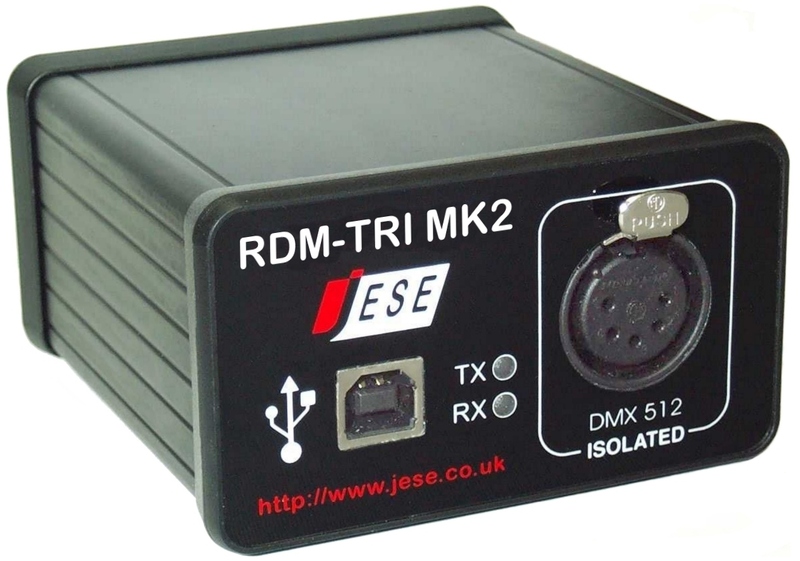 This is High Tech: the USBRDM-TRI Mk2 is one of the fastest and most versatile interfaces for DMX RDM control. The bundled software "GET/SET" allows to operate any RDM devices easily and effectively. Continuously maintenanced software ensures, that latest develeopments and new RDM commands are included as soon as new standards additions are being published, giving you the most capable RDM tool available today. Visit our WebShop to order.